THE BRITISH INSTITUTES Franchisee business dispenses a detailed, step-by-step, business with a set of rules that must be followed, including the use of approved signage, and marketing materials, hours of operation, etc. along with ongoing support to their franchisees. A non-franchisee business opportunity also provides a "Framework", but it's usually not as detailed. The British Institutes pledges an established product with the benefits of a pre-sold customer base which took 83 years to establish. A franchise increases your chances of business success because you are associating with proven products and methods. BIET offers important pre-opening support, site selection, design, construction, financing, training, and a grand opening programme. BIET offers ongoing support, training, national and regional advertising operating procedures, operational assistance, ongoing supervision and management support, increased spending power, and access to bulk purchasing to Franchisee. THE BRITISH INSTITUTES with its vast experience and international exposure, has taken up the challenge to cater to the need of young career aspirants of our country. In THE BRITISH INSTITUTES we have tried to break the cryptic barrier of conventional student and teacher relationship making the environment more cordial for better understanding from both the sides. It is the mission of THE BRITISH INSTITUTES to spread quality education among the aspirants keeping in mind the individual's hopes, expectations, emotions, motivation and drives. Pioneer in Vocational Courses Since 1935. An ISO 9001:2015 Certified organisation. 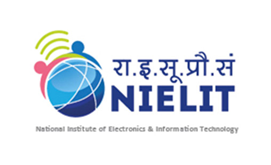 Partner of NIELIT - Kolkata for NDLM course and Jiban Praman, Delhi. Training Provider of PBSSD, SUDA, Govt. of WB and Directorate of Employment Govt. of WB. Exclusive Book Materials from OXFORD UNIVERSITY PRESS and Audio / Video aids. After completion of courses with us the Students will be assessed by a CEFR based assessment, British Council Aptis and shall receive a Candidate report. Online Classes for English and Govt. Jobs Preparation courses. Online Mock Test, Evaluation and Certification for all Courses. 30 years of experience in Franchisee Business with Business Partners. A Member of the British Council IELTS Partnership Programme. Foreign Language Courses like - GERMAN, FRENCH, SPANISH, CHINESE and RUSSIAN. One point Solution for Language Training, Computer Education and Govt. Job Preparation Institution. One cost to avail three product lines in Education vertical. Exclusive franchise BI-Competitive Exam Centre. Prospective franchisees that we call a “Business Partner” need to understand the basic concepts about the support they should expect to receive from The British Institutes. 1. Monitoring of establishment as per our norms. Directives issued in these matters require mandatory compliance by the Business Partners. 2. The British Institutes offers important pre-opening support, site selection, design, construction, financing, training, and a grand opening programme. 3. Final screening of all appointments, whether administrative or academic, prior to issue to appointment letters to concerned personnel. 4. Training of staff and teachers at our administrative and training headquarters. Such training will be free of cost but travel, accommodation, boarding and conveyance costs of trainees, as required, will be borne by the Business Partners. 5. Guidance and monitoring of publicity strategy. It is mandatory to obtain prior approval from us of all publicity material prior to issue. 6. Formulation of centre curriculum, training structure and course fees. No paper, form or literature, other than the Information Brochure, concerning the Institute may be distributed, sold or otherwise removed from the premises of the centre by unauthorised personnel. 8. Periodic students' feedback taken by Student Care Team to improve the student servicing quality. 9. Supply of all course related technology specifications such as course structures, syllabi, equipment lists, book lists and evaluation methodology, free of charge. 10. Monitoring and evaluation of training procedures as per our norms. 11. Evaluation procedures such as formulation of question papers, scrutiny of answer scripts, tabulation of marks and subsequent certification of all successful trainees. 12. Continuing Training and Assistance with the time to adopt the new teaching pedagogy. 1. Submission of Franchisee Confidential Application Form. 2. Interaction with the Management. 3.100% payment of Registration Fees. 4. Signing Deed of Agreement for Franchisee. 6. Appointment of Centre Head, Academic Counsellor, Faculty and Support Staffs. 7. Training of all Human Resources including The BPs. 8. Indent of Book materials / Brochures / Exam or Assessment Vouchers etc. Sign Board and Glowing board outside centre as per H.O layout. Umbrella and Canopy Activities etc. 11. Starting of Student's Counselling and Admission in Bl-Online system. 12. Commencement of training of students. 13. Commencement of Online Evaluation / Assessment. 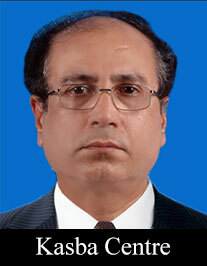 "I had been working in the education sector for last 18 years in North East India and Assam in particular. I had worked for companies like NIIT, IndiaCan Education (A Pearson Group) in their various projects like ICT@School, NVEQF and also associated with imparting of Skill training under PMKVY. However, deep within, I wanted to start on my own and work in the area specially addressing the main drawback which the people from North East have, i.e unable to converse in English. I was searching the internet for Associating with a Brand Name in this line. What better a brand than ‘The British Institutes’. 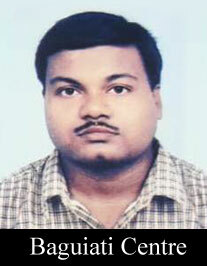 I contacted them and luckily at that period, they were also looking for a partner in Guwahati. The partnership was sealed within no time within a period of a month and i started the chapter of ‘The British Institute’ in Guwahati. Mr Sounak and Tanmoyda of BIET handheld me to understand the business and I started to get enquiries. 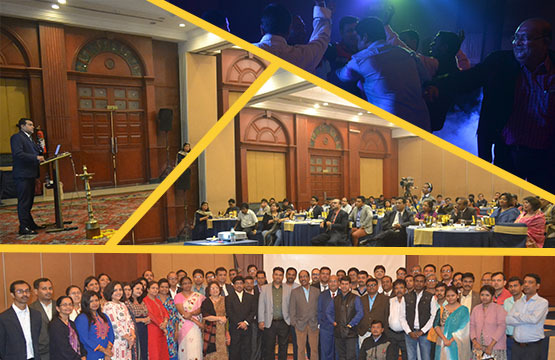 It has been a short period of association till now, however what made the difference was the staff of BIET who I found to be very warm and genuinely interested in the growth of their partners. I am sure that this association will blossom further and be beneficial for both BIET and me." "I entered The British Institutes family a year back. Looking back at the year, I am so glad that I chose their franchisee to start my business. Not only they helped me set up my operations but also provided impeccable advice whenever I had my doubts. It has been an enriching experience working with them and I look forward to many more years of successful operations with The British Institutes." 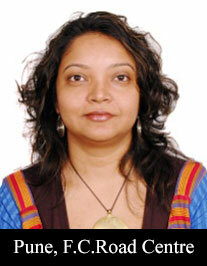 "It has been an extremely fruitful and exciting journey to team up with BI Group. The British Institutes is very professional in hand-holding us through every step of the operations. The entire support staff in HO Kolkata is always reachable and responsive. The journey so far is beyond expectations. The business is very rewarding as Benjamin Franklin said, ``Tell me and I forget. Teach me and I remember. 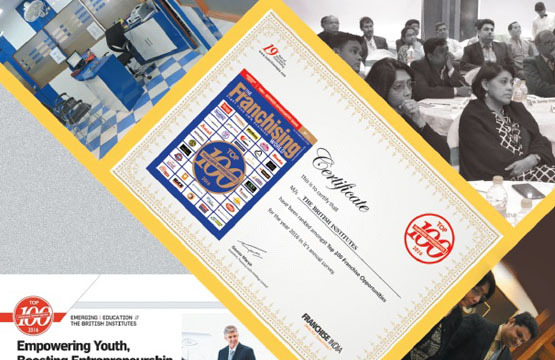 Involve me and I learn.`` very aptly describes our Franchise experience.". 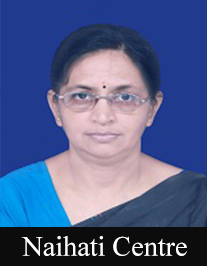 "I joined The British Institutes as a Teacher in 1993 . I become a Franchisee owner in 1995 . Since then its almost 25 years I have been associated with them. It’s a long journey. I develop this business with a great help from Head office Team . How to increase market , how to cater student, Student’s counseling ,Admission process almost everything I learned from BIET Support Team. Their marketing people, Counselor, Teacher all will help you when you will be in trouble. Everything is Online Now .It’s very easy to operate. So I can tell you one thing when I first started this business after completing my PG in Economics ,PGDBM in management a lot of my friend asked me why don’t you join a company to make your future bright . My answer is now I am more successful than you. My friends envy me now because I am Self Employed and independent. So you can follow me to make your future. Start you own business …..Future will be yours." How will you prepare the infrastructure of your center? After the completion of sign up process, The British Institute of Engineering Technology (I) Pvt. Ltd (BIET) team will provide the necessary guideline to prepare the centre set up including Site Selection, Colour scheme, IT requirement etc . Is there an opportunity to set up more than one center? 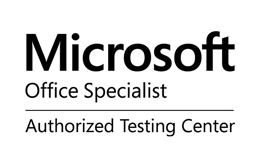 Yes, it is possible to set up more than one BIET Center and for each center separate agreement has to be signed. Many of our existing Business Partners have done so in a very profitable manner. What is the requirement or eligibility to be a Business Partner of BIET? Must have prudent awareness of future possibilities to succeed. Having ability to motivate people. Having ability to manage finances. The willingness to devote time and best efforts to day-to-day operation. Managerial & Administrative Experience is preferred. Working Professionals planning to set up own ventures, enterprising women, owners of existing training centres wishing to expand their business can partner with us. How many partners BIET can allow for the Business Partner? BIET will not allow more than two partners per centre, exceptions to be preapproved by the BIET Management. Does BIET offer any financing arrangements? No, BIET doesn't offer any financing arrangements. The applicant has to arrange for all the finances. How much time it will take to complete to selection process of Business Partner ? It will take 7 to 10 days time to select the Business Partner. What is the validity of the agreement? The validity of the agreement is for three years. The license will be renewed after the end of third year depending on the terms and conditions prevailing at that point of time. What are the ongoing supports BIET will provide to the Business Partner ? BIET will provide ongoing support to Business Partner in the area of Sales, Marketing, Education Delivery and Centre Management through periodical support visits and through different medium of communication by BIET's officials. Can we run other educational courses along with BIET centre at the same premises? Running of any courses other than BIET official courses is not allowed without a written approval from BIET management. The Business Partner is not allowed to conduct any course separately or of its own which is already there in the course curriculum of BIET brands.